They have an incidence of approximately 27-59 cases per million population per year. Whilst most cases are asymptomatic, some can present with facial swelling and / or facial pain. Sialolithiasis most commonly occur in the submandibular gland, due to the anatomy of this duct being long and its flow of saliva against gravity. The type of salivary secretions from the submandibular gland are also more mucoid in nature as opposed to the more serous secretions from the parotid gland. Individuals with sialolithiasis tend to be asymptomatic, however a small proportion can have an intermittent facial swelling associated with eating, which can be painful or painless. Symptoms are usually unilateral in nature. When the gland is palpated, saliva can be seen at the duct orifice (Fig. 2), along with the presence of small stones. On palpation, a stone may be palpable in the duct and the gland may feel tender in the presence of infection. The main differential to consider for such a presentation is infection. Individuals with viral infection such as mumps will present acutely with pain and swelling of both salivary glands, associated with the viral prodrome fever, malaise, headache, and myalgia. Other causes of swollen salivary glands include Sjögren’s syndrome, sarcoidosis, or salivary gland tumour (unilateral swelling). Most cases of suspected sialolithiasis are investigated* with either ultrasound or radiographs. Ultrasound scans are a cheap and minimally invasive method that is very good at analysing the whole gland and periglandular structures. As most salivary gland stones are radio-opaque (80% submandibular gland, 60% parotid gland), a plain film radiograph is a simple investigation which can be performed to confirm presence of a stone. *Sialography is not routinely performed due to its invasive nature. The duct is cannulated and radiopaque dye is injected with plain films are taken. Most patients are managed conservatively with oral hydration, analgesia, and sialologues, such as lemon juice, which promote saliva production. Milking / massaging the gland can help as well. If the gland becomes infected and the patient develops sialedenitis, then antibiotics are typically indicated. Patients with recurrent or persistent symptoms should be referred for specialist treatment. Interventional radiology procedures are most commonly trialled, which involve fluoroscopic control such that the stones are visualised in the duct and then extracted with a basket. A surgical approach can be used to remove some more difficult stones; a transoral approach can be used if the stones are distal or a transcervical approach for proximal stones (or where the transoral approach has been unsuccessful). Surgical intervention however comes with risks of damage to the hypoglossal, facial, or lingual nerves. Other possible interventions include sialoendoscopy (whereby the stones are directly visualised via endoscopic imaging and extracted with a basket) or extracorporeal shockwave lithotripsy (for some stones in the proximal ducts, where transoral retrieval of the stone is not possible). Gland removal is last resort. Excision of the parotid or submandibular gland are only performed for patients with chronically persisting symptoms. Most patients with salivary calculi will live with them for several years, many developing recurrent infections and in some patients chronic sialedenitis resulting in a chronically tender salivary gland. 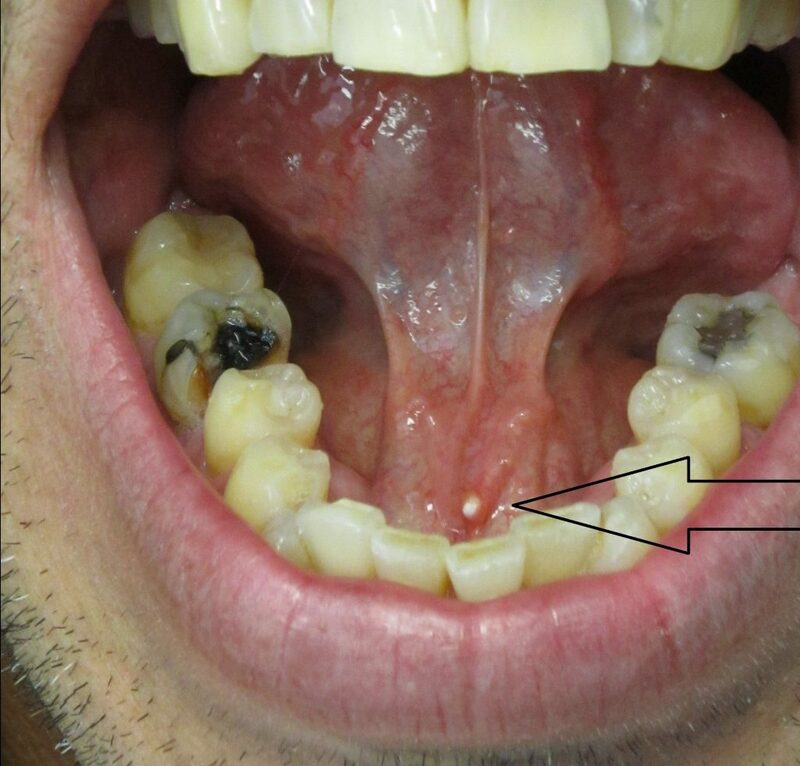 Severe cases of infection can also result in abscess formation. Sialolithiasis most commonly occur in which salivary gland? Which of the following is a risk factor for developing sialolithiasis? Sialologues can aid in the conservative management of sialolithiasis; what is the definition of a sialologue?